The German visual communication and advertising logo Exhibition (Viscom D sseldorf2017) is the international exhibition Union (UFI) professional exhibition advertising logo certification, annual is one of Europe’s most famous and influential professional exhibition advertising logo. The German Viscom is held annually, and the specialization and internationalization of the exhibition, as well as the display effect, are among the best in the same European Viscom series. 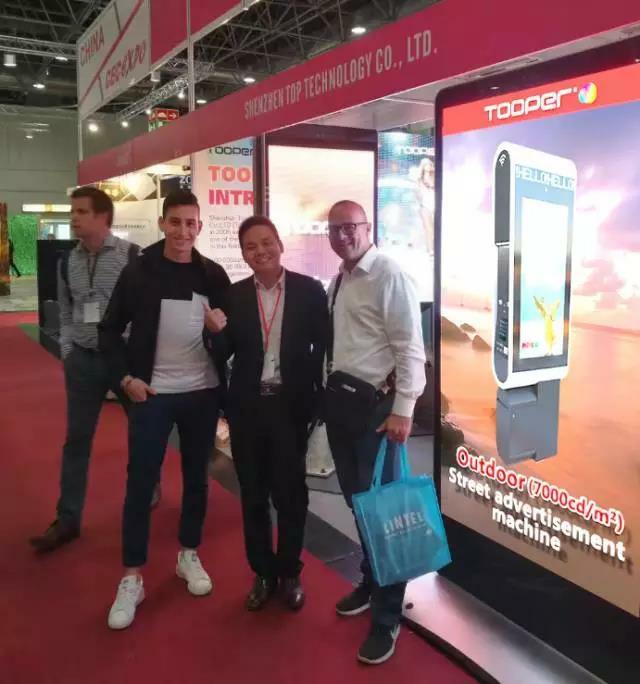 In October 18, 2017, German visual communication and advertising logo exhibition held in Dusseldorf Exhibition Center, top technology Co. Ltd. as the representative China exhibitors participated in the exhibition. Smart city terminal products unveiled at the exhibition. Top technology show the product has the characteristic, embodies the company in product design and development capability and intentions. 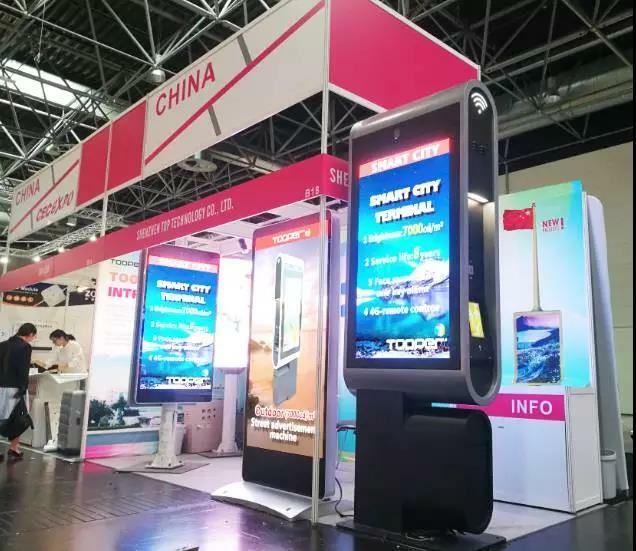 The smart city terminal at the exhibition includes the extension of the series of light pole screen, the faction series vertical advertising machine and street advertising machine. These products are a combination of the latest LED photoelectric display, wireless communication, cluster control, intelligent monitoring technology, with HD, brightness, electricity, wireless WIFI Internet, intelligent monitoring, audio and video interaction, remote control and characteristics of large scale cluster function. Top technology products with exquisite styling, good display effect and comprehensive function, quickly attracted a large audience and stop consulting. Smart city terminal products top technology can be widely used in shopping malls, square, pedestrian street, gas station, bus station and other outdoor places, to replace the original screen door and advertisement lamp box, cloth and other products, the products are leading the industry in terms of price, performance.